Cover images: “McLean's optical illusions.” T. McLean. 1833. 1 portfolio : 11 lithographs on discs, hand-colored, discs are to be spun on a spindle, and observed in a mirror, to create the illusion of a moving image, 25 x 25 cm. From: Library of Congress. 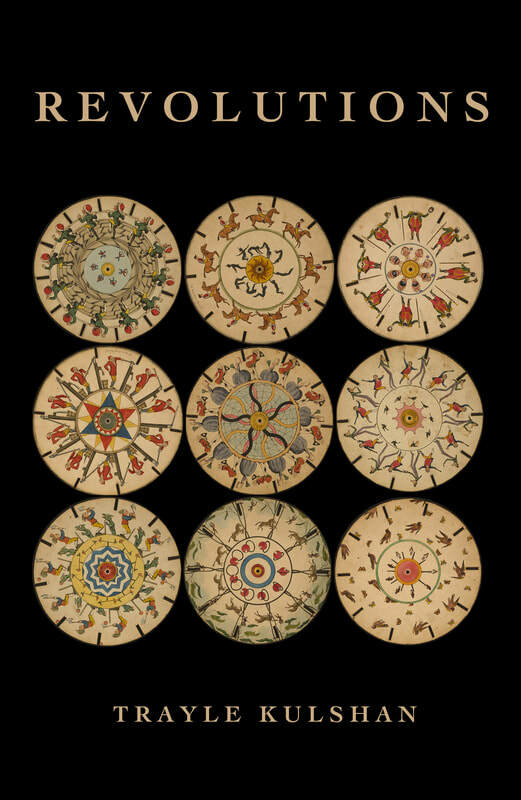 "The cover images are part of a “Phenakistoscope” collection - which is an optical illusion to be spun on a disk which makes a moving image, one of the first forms of animation. The significance to me is that these are another way of looking at images and making them magic. It is spinning or “Revolving," harking back to the title of the book. When I called the book Revolutions, I of course have several meanings of the word in mind - turning around and around or returning back to the beginning, as well as an uprising or pushing back against some oppressor, and of course invoking revolutions I witnessed in my travels, like the obvious Arab Spring or the more subtle revolution of people rebuilding after the earthquake in Haiti. "